Many corporate managers like to say that their employees are their most valuable asset. And yet, they don’t treat their employees accordingly and usually just demand results without offering them anything in return apart from the regular salary. It’s no wonder that, according to Gallup, a staggering 67% of employees in the U.S. are disengaged. To illustrate their impact on the U.S. economy, it’s worth mentioning that they cost the country somewhere in the vicinity of $550 billion each year. All these stats show that it’s much better, effective, and affordable to invest in your employees and offer them various benefits because if they’re happy with their jobs, they’ll be more engaged. 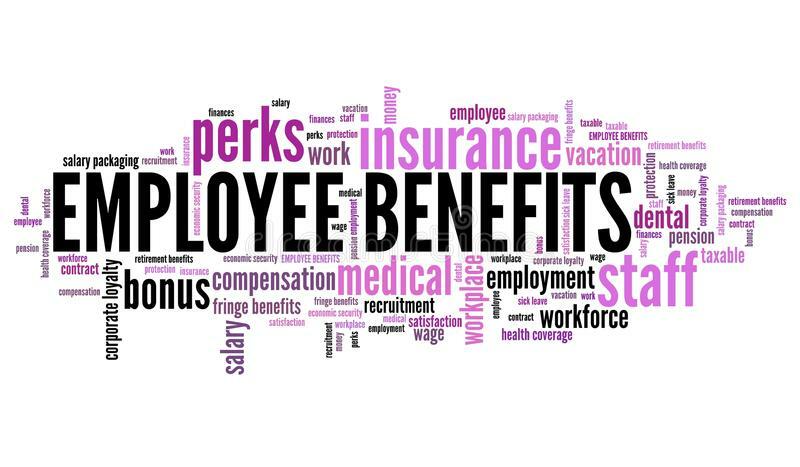 However, nowadays employees want more than just a fat paycheck, so here are some employee benefit ideas that you can use. If you want to have a skilled, well-educated staff, then you should encourage them to develop both professionally and personally. There are many free courses that they can take and benefit from, but you should also offer to pay for some useful seminars and training programs, such as advanced financial modeling courses because these investments will pay off very soon through your employees’ expertise and experience. By willingness to financially support your employees’ professional growth, you’ll also show them that you highly value them, and this will significantly boost their motivation. A work environment plays an extremely important role in motivating your employees. If we bear in mind that they spend a significant portion of their day at the office, it’s clear that they need to feel comfortable there. Take a cue from Google and Apple whose headquarters are examples of employee-oriented workspaces. Unfortunately, very few companies can afford such lavish work campuses, paired with free buffets, gyms, nap areas, and onsite healthcare. But, what you can do is get rid of cubicles, if you already haven’t, and create an open-space office with a lot of natural light, a well-equipped lunchroom where employees can prepare their food and eat their meals, as well as, the space where they can spend some “alone time” away from various distractions. When it comes to décor, it’s a good idea to allow your employees to add some personal touches and personalize the office. The 9-to-5 workweek doesn’t work anymore. If you want your employees to be more productive and motivated, you need to let them find their own pace, and that sometimes means coming to the office at noon or splitting their workday into two parts. This way, your staff will be less stressed as they’ll organize their time in a manner that will allow them to be productive. Not to mention that those who aren’t exactly morning people will come to work fresh and perky so that the midday slump will become the thing of the past. Similarly, companies which let their employees work from home, or any other location outside the office, are considered desirable to work for. Such a practice is beneficial for employers too because 98% of people who already work remotely say that they have become significantly more productive. This might not be treated as a straightforward financial investment, but it’s something that can improve employee performance and productivity, as well as reduce turnover rates. Namely, if you make an effort to learn more about the people who work for you and get to know them better, you’ll be able to connect with them on a more profound level and understand what makes them tick. Find out what their goals, hobbies, and interests are. When you know your employees personally and beyond their professional titles, it’s easier to unlock their hidden potential. This way you’ll be able to delegate tasks and projects more effectively. Many managers fail to publicly acknowledge their employees’ hard work. Not complaining about their performance won’t do the trick, as it doesn’t provide them with any meaningful feedback and recognition. It’s extremely important to make sure that your staff knows you’re grateful for the time, energy, and effort they put into your company. Sometimes, a simple thank you will work. An email or, even better, a handwritten note can be very powerful in terms of the impact it can have. It’s a good idea to express your gratitude to an employee for their remarkable accomplishment before a big meeting when both other employees and stakeholders are present. Finally, sometimes even a raise is a good idea to show someone you appreciate everything they do for your company. Sitting in front of a computer screen for 8 to 10 hours a day is bad for health. That’s why you can show your employees that you care about them by offering them gym memberships, and if possible, by equipping a game room where they can play ping pong, pools, or darts, and relax with their colleagues. Stock options are also one of the most desirable benefits, as well as health insurance plans. Employees also highly value free food, parking, or an occasional day off. By investing in your employees you increase their satisfaction which, in turn, boosts their productivity, reduces a turnover rate, and improves the bottom line of your company.